I think that the combination of the season’s rain and quick trips to New York have really spurred my boot obsession this season. I’ve been on somewhat of a kick to get all new boots since the majority of my boots really needed to find a new home. 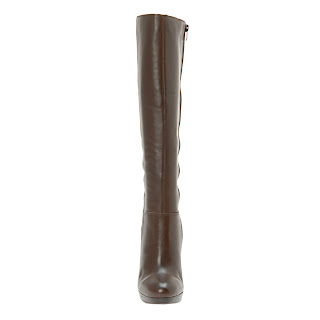 So, for my classic brown boot replacement, I got these Aldo ‘Zientara’ knee high tall boots. 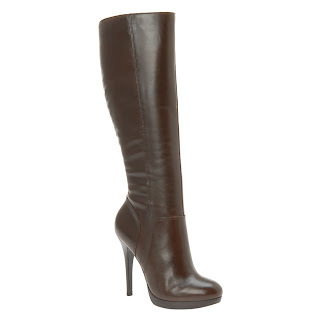 Now, while their design is classic and simple with its almond shaped toe, their heel height is definitely anything but! ;) Feeling a little horizontally challenged from time to time, I love getting high heels that give me a physical and mental boost. These completely fit the bill. They have a 4 ½” heel that includes a ¾” platform. The platform is both on the outside and the inside of the boot, so it’s partially exposed. This is awesome because the hidden platform makes you seem uber tall. And let’s talk about why we love a platform for a minute. The added height is the first bonus, elongating your body and making anything you wear look THAT much more flattering on your frame. But, the thing that makes it genius is the shock absorption value it gives the ball of your foot. Having something that looks great is important, but having something that you can wear extensively because it’s actually comfortable is worth its weight in gold. I’m so glad they are totally the rage in this year’s trends. So, my most favorite thing about the ‘Zientara’ is how well it’s engineered. The stiletto-like heel begs the question, “How can you walk in those?” Well, and the reason is that it is well designed to help you walk in them! 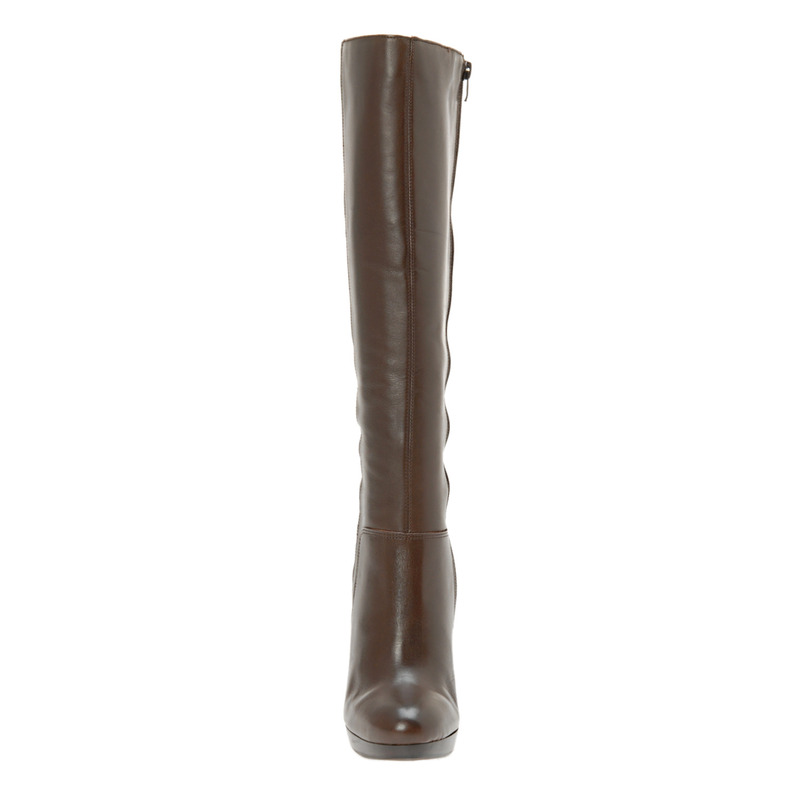 ;) The sole of the boot have a wide flat base. 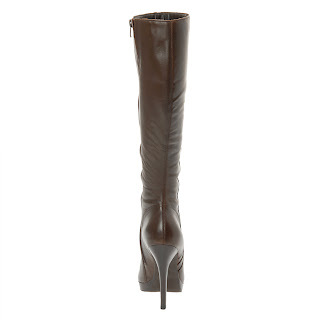 The ankle part of the boot is snug and almost stiff to help keep your ankle supported. This is not to say that it’s so stiff that your ankles are sore the next day. The ankle area of the boot is flexible enough to let you walk around without being restricted but supported enough so that you don’t wobble when you walk. I’ve worn these several times, even in the rain, and have yet to feel like I’m teetering over in the urban terrain. Your favorite part may be that they are on SALE for $97.99…(the brown, not the black). Regardless the reason, every working girl should let these Zientara’s take them to their zenith fashion heights with great classic style. Those are some fierce boots! Are you wearing them to the IFB conference? I'm still trying to figure out what shoes are best. @Kimberlee- Not sure.... the blizzard has me all debating wardrobe options! What are you going to be sporting next week? ?